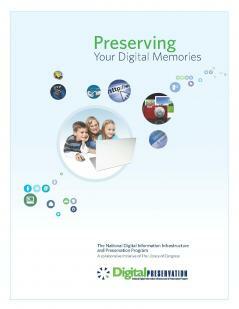 How to preserve your own digital materials ? Personal archiving of digital files is certainly going to grow as a major theme of the decades to come. As computer became a dominant, multi-task production tool, most of the documents we produce are today originally born in digital format (mail, photos, music, texts, etc. ).